The European Centre of Technology works with Leading Organisations to run industry acclaimed training for professionals in the engineering, management and finance sectors. Courses have been attended by representatives from a broad range of organisations and companies, which have included the UK Department of Business, Energy and Industrial Strategy, Coca-Cola, Mitsubishi and EY, as well as many others which can be found on our Awarded Participants page. Since 1975, the European Centre of Technology (ECT) has operated as a link between business, academia and important global authorities to provide the most comprehensive professional training in the fields of Engineering, Management and Finance. Accordingly, the courses offered by the ECT, which are held in the UK and globally through classroom or online learning, reflect the ideal combination of extensive industry experience, dynamic academic insight and a crucial global perspective. The high-quality professional training provided by the European Centre of Technology (ECT) is maintained and strengthened by select collaborations with leading higher education institutions and global organisations. 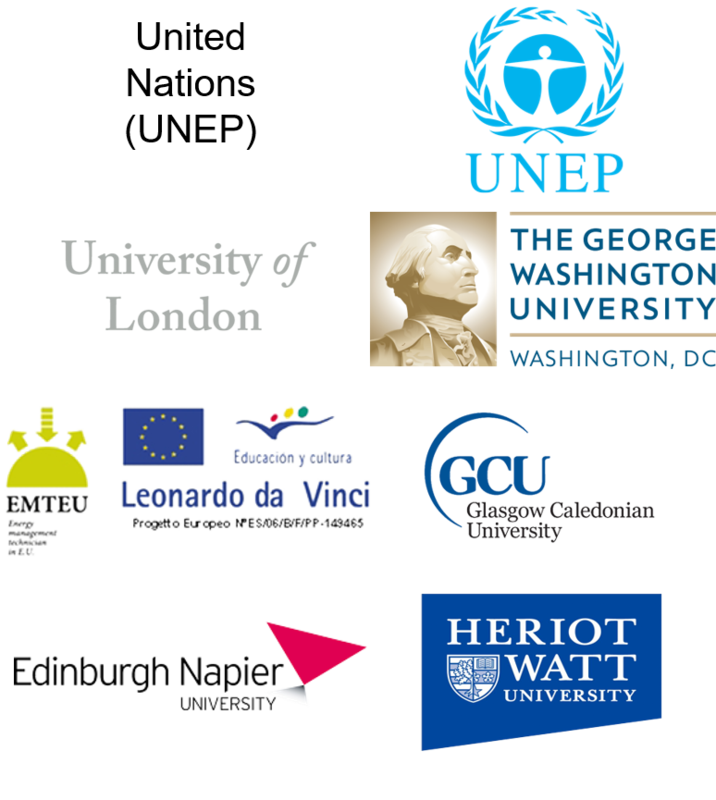 This currently includes working with the University of London, Edinburgh Napier University and the George Washington University, among many other academic institutions, as well as the United Nations (UNEP), on research and educational projects. The ECT’s short professional courses, which are approved to award the internationally recognised Galileo Master Certificate (GMC), are one such project, and the ECT is able to source the best expert lecturers and locations through this prestigious network. The internationally recognised GMC has been used by past participants to support application portfolios for further study at various higher education institutions. In addition, ECT courses are progression routes leading to part time degree programmes offered by our partner, Edinburgh Napier University. Please enquire to [email protected] for further information on the specific programmes and entry requirements. In addition, those awarded with a single Galileo Master Certificate may also be interested in expanding their knowledge and enhancing their skill-set by enrolling on a GMC Expert Pathway. GMC Expert Pathways offer participants the opportunity to complete three complementary GMC-awarding courses, strengthening their knowledge in a particular area. ECT courses can be taken both as stand-alone, single courses, providing participants with an insight in to a particular interest area and skills to further their career, or as a springboard into further study. Past participants who have achieved the internationally recognised Galileo Master Certificate (GMC) have used the knowledge and recognition they gained to facilitate a career move, help them progress in their current role or even start their own businesses. Courses are attended by representatives from a broad range of organisations and companies, which have included the UK Department of Business, Energy and Industrial Strategy, Coca-Cola, Mitsubishi and EY; their testimonials can be read here. ECT training courses promote best practice and knowledge sharing in the fields of Engineering, Management and Finance.